This homemade costume for groups entered our 2016 Halloween Costume Contest. 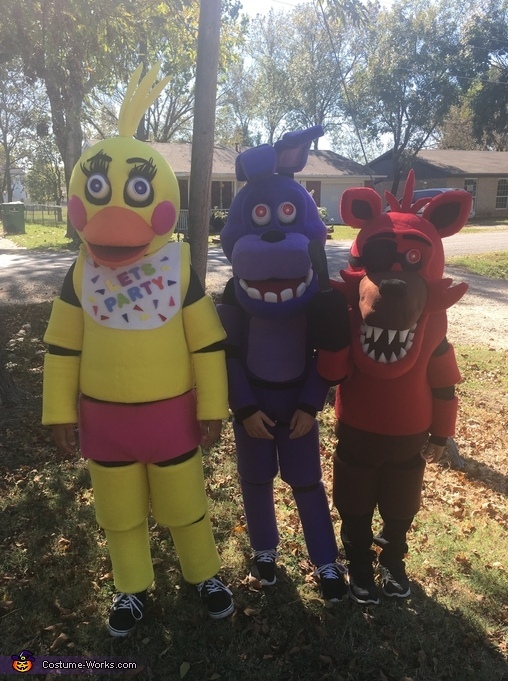 My kids wanted to be characters from the game show Five Nights At Freddy's. My husband is very creative so he decided to make them their costumes. He covered foam with fabric not sure how he done the rest. It cost about $150 a costume if not more.